Did you know that you can get custom metal plaques for the Burbank and Los Angeles, CA areas from a sign company? This is true if that company is The Sign Studio. We can provide you with any type of metal plaque, including etched and cast. It is just another product we are happy to offer as a full service commercial sign company. All of the metal plaques we offer are manufactured by Gemini Incorporated and customized to fit your needs. 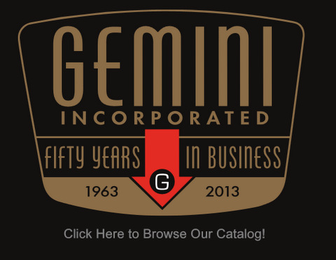 For more than half a century, Gemini has been a world renowned name in the sign industry. In addition, for the award, recognition, and sign industries, they have been producing top quality metal plaques for the past twenty years. The variety of alternatives from Gemini is sure to impress whether you are looking for an etched display panel to mark a historic occasion, a creative solution for architectural signage, or an architectural or cast metal plaque to commemorate a notable individual. Etched Metal Plaques – Our designers have seemingly endless opportunities for expression with the photo relief, etching, giclée, and laser engraving capabilities that these high definition plaques are able to produce. This makes etched metal plaques perfect for intricate detail and images. These are made of copper, stainless steel, aluminum, or brass. 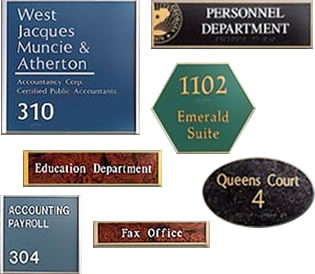 ADA/Wayfinding Plaques – All of our plaques created for wayfinding/ADA purposes are manufactured and designed to meet ADA requirements. And, in order to provide a superior product that will not crack or chip, all of these plaques are made of solid metal. 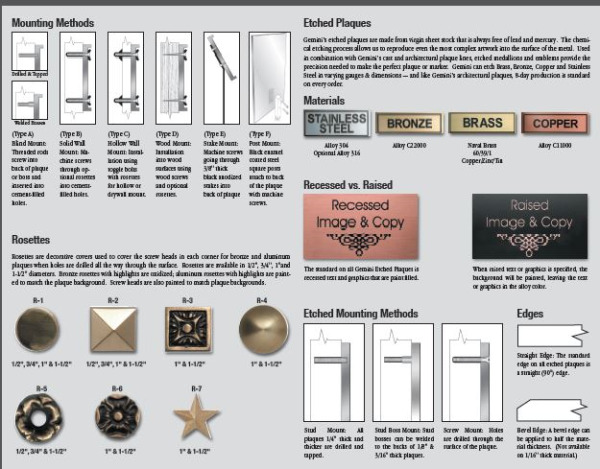 Cast Metal Plaques – Time honored, heavy duty architectural and cast metal plaques are available in numerous depths and made from brass, aluminum, and bronze. Cast plaques are a timeless, classic options with polished or brushed finishes, a broad range of special treatments, and painted or natural backgrounds. Whatever you choose, many come with a lifetime guarantee. Images, logos, and other custom designs are also no problem. Plus, each of these metal plaque types are great choices for use as interior markers as well as for outdoor areas and exterior buildings. Let us introduce you to the world of metal plaques if you are in need of a life-long, sturdy, and durable sign. The many uses for these markers may surprise you. As an authorized Gemini Metal Plaque dealer, The Sign Studio proudly serves Pasadena, LA County, Hollywood, Glendale, and Los Angeles, CA from our headquarters in Burbank. Contact us today if you are ready for a free consultation and quote on plaques or if you just want to learn more.